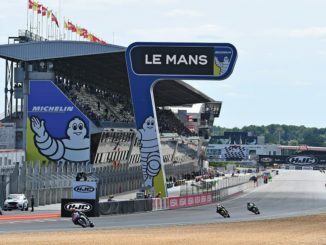 Le Mans, May 22, 2017: Dani Pedrosa scored his third consecutive podium finish after starting the French GP from the 13th spot on the grid and making a great comeback to finish third in front of over 104,000 spectators, a new record for the Le Mans event. The last time Dani was in the top three for three consecutive races was in 2014 (Catalunya, Assen, Sachsenring). 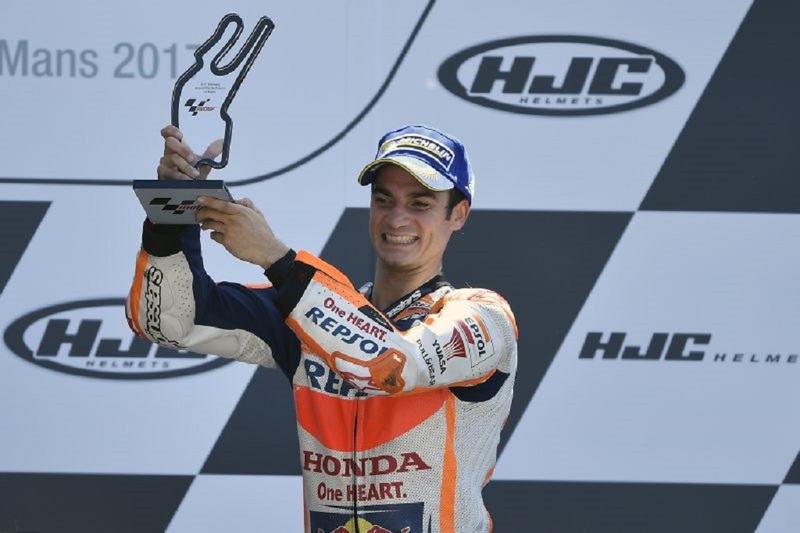 He is now third on the list of most career podium finishes with 147, behind Agostini (159) and Rossi (224). Dani got away well and completed the first lap in seventh place. 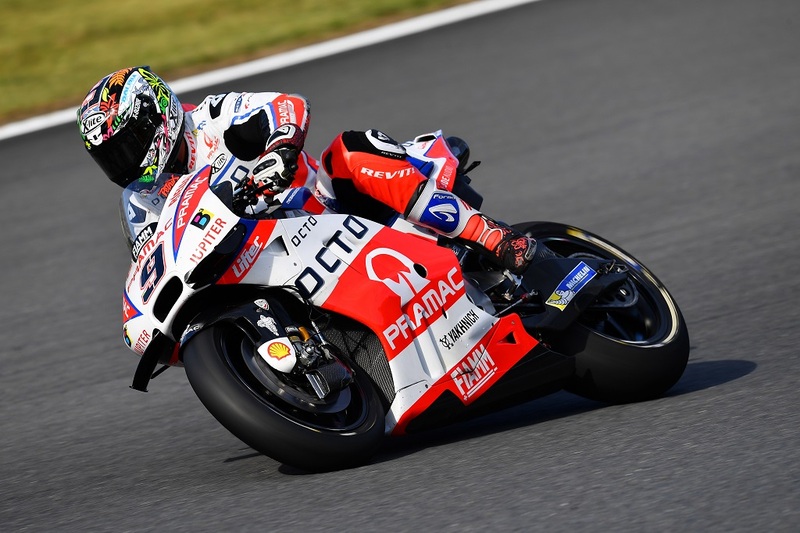 He pushed his way past Dovizioso on lap 10 and passed Crutchlow on the next lap. 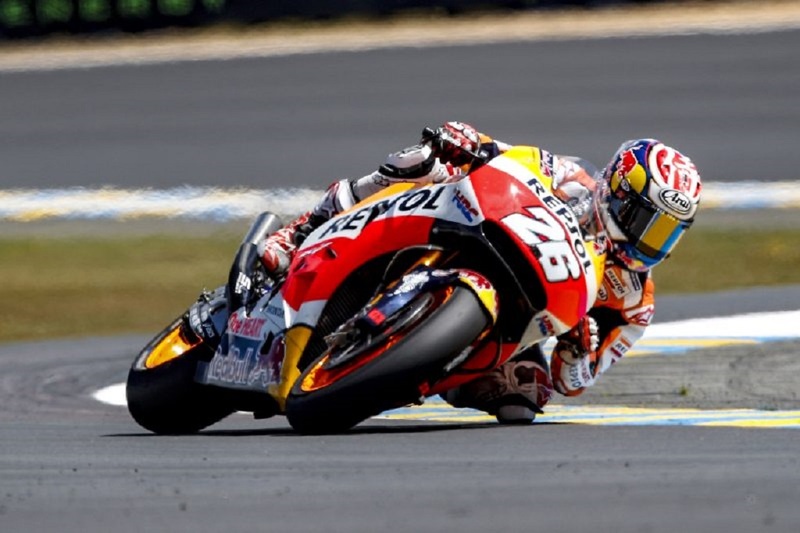 He soon began closing in on his teammate before Marc Marquez slid out from fourth place. Rossi’s last-lap crash allowed Dani to gain 16 important points and move up to second in the World Championship standings, 17 points off the lead. 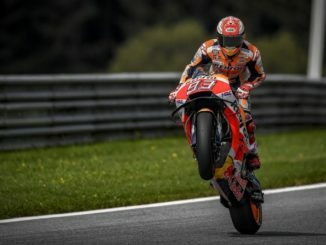 Marc is fourth in the Championship, 27 points down on Viñales. The Repsol Honda Team will take part in a test in Catalunya this week.